This is where you get creative and put your fanciness. I will be using whiskey! 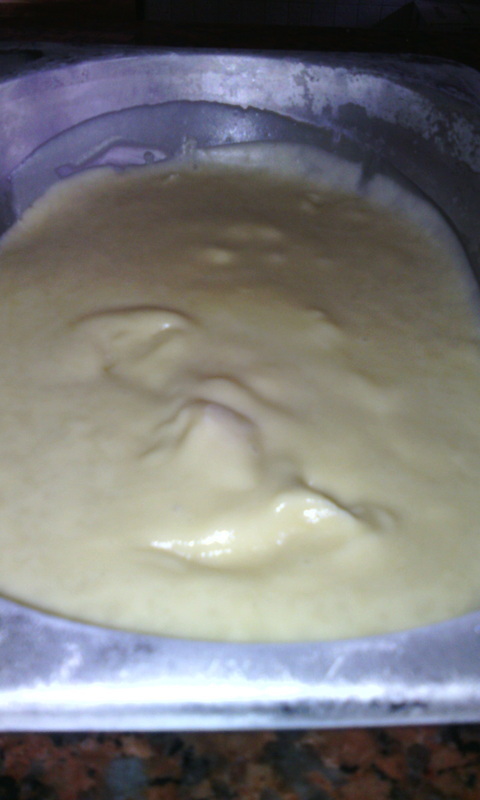 Put the cream, milk, vanilla and half the sugar in a sufuria (pot) and bring to the boil. Turn it off. In a medium bowl, whisk the yolks and the rest of the sugar. Pour a 1/3 of the hot cream mixture into the egg mix and whisk. Pour everything back into the pot and heat slowly while stirring on a low flame until it thickens. Do not boil it. It should be thick enough that you can draw a clear line with your finger on the back of the spoon you are using. Pour into a baking tin (I use a baking tin) chill it in a basin with ice water, then freeze. I added my 2tbsp of JW at this step. It usually freezes very smoothly with no icicles, but stir it after 2 hr in the freezer- this is also when you introduce your additional fanciness. Once frozen, scoop it out into a plastic container with a lid.